One of the best parts of being an Android user is the countless awesome features. Many of these features are well-known and user-facing, like custom icon packs and launchers, but some get lost in the shuffle. Back at Google I/O 2016, Android Instant Apps were introduced to developers and enthusiasts. Since then, the feature has seen a wider rollout, but few users are aware of it. If you're out and about, the last thing you want to do is download a large app. At the same time, you often discover an app that would benefit you right now, at this very moment. This is where Android Instant Apps come in to play. With Instant Apps, you don't need to download the large APK file to use the core functionality of the app or service. Sound too good to be true? It's actually incredibly easy to enable and use Instant Apps on any phone running Android 6.0 or higher. 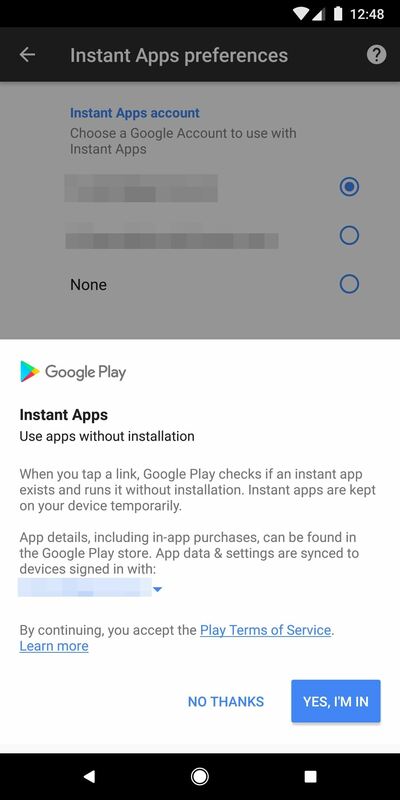 First up, you'll need to make sure Instant Apps are enabled on your phone. So head into your phone's main Settings menu, then scroll down and tap on "Google." From here, scroll down and tap on "Instant Apps." Next, tap the toggle at the top to turn the feature on. You will be prompted with a dialog box explaining what Instant Apps are — simply select "Yes, I'm in." Now you're ready to try out your first Instant App! Step 2: Find an Instant App and Run It! The only unfortunate aspect of Instant Apps is the small number of available apps with the feature built in. We're still in the early days, but the list is growing every week. Some of the more popular apps available right now are Vimeo, Jet, and The New York Times Crossword Puzzle. The easiest way to locate Instant apps is through the Google Play Store. While perusing the Play Store for new apps, you'll notice that some of them now have a button that says "Try Now." This indicates that the app has an Instant App associated with it. Tapping on the "Try Now" button will open and run the Instant App, saving you cellular data and storage space on your phone! 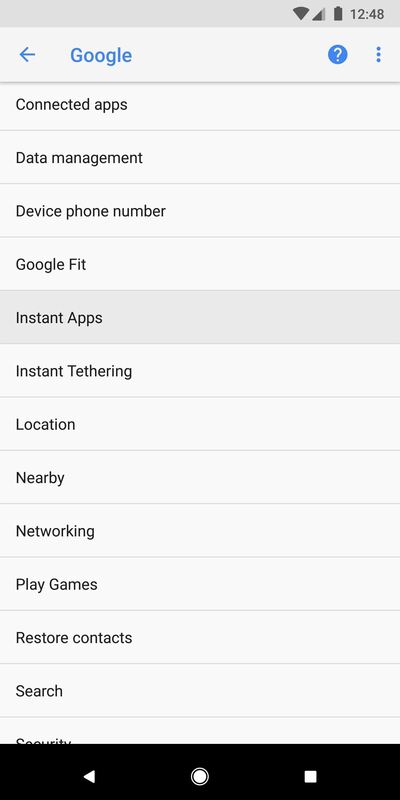 Once you've used an Instant App, it will be stored inside a list in that Google Instant Apps Settings page you accessed earlier. 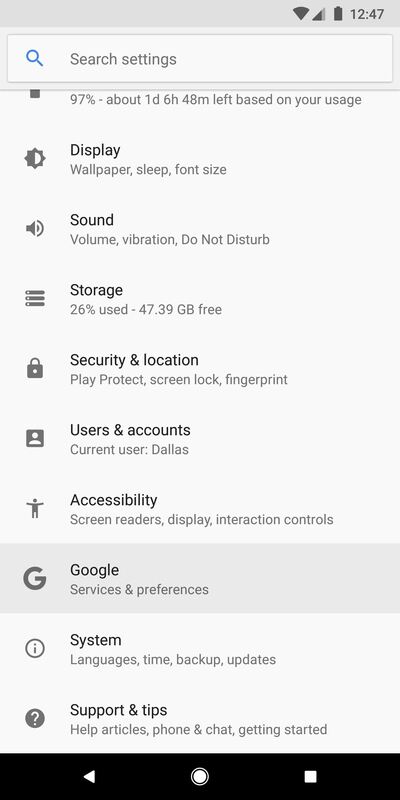 This makes it easy to clear individual app data, or even install the full version of the app once you are back on a Wi-Fi connection. You may also notice that if someone sends you a link that would normally open in the full version of an app, it will now open in the Instant App. The best example of this is Vimeo videos. Overall, Instant Apps are pretty awesome. We certainly want to see Google continue supporting this idea, and more app developers jumping on board. If most of the popular app developers supported Instant Apps, users could save a large chunk of storage space. Have you ever tried Instant Apps on your Android phone? Are you thinking about giving it a try now? Let us know what you think of this feature in the comments below!